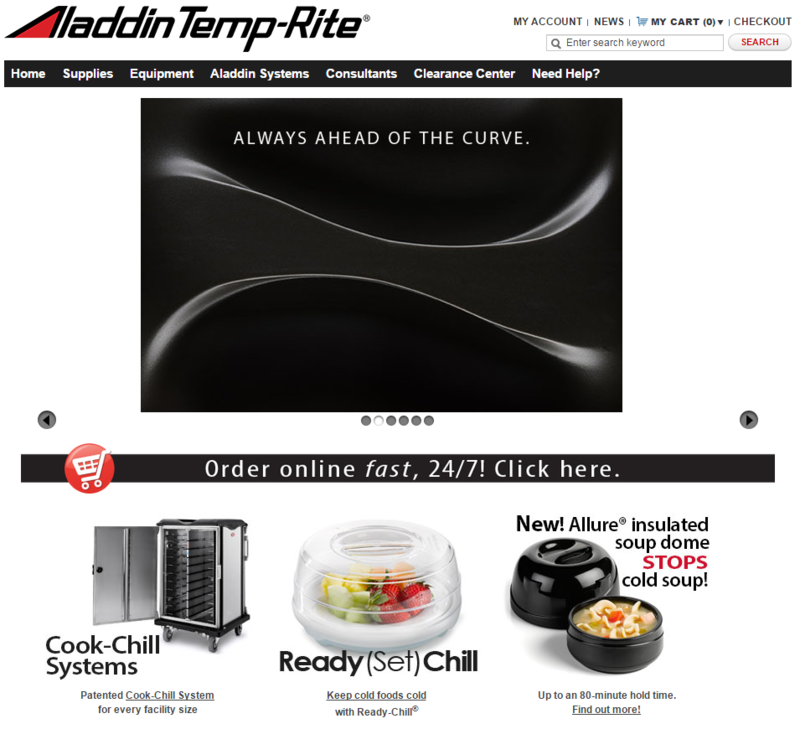 An innovator in the healthcare food service industry for 40 years, Aladdin Temp-Rite’s customer-driven innovations lead the healthcare food service industry. To answer the increasing demand for better choices in meal delivery and presentation, Aladdin has developed solutions for every food service application. Varied applications and requirements call for specific solutions, which is why Aladdin looked to Magento to expand their services and to supply their customers via eCommerce. 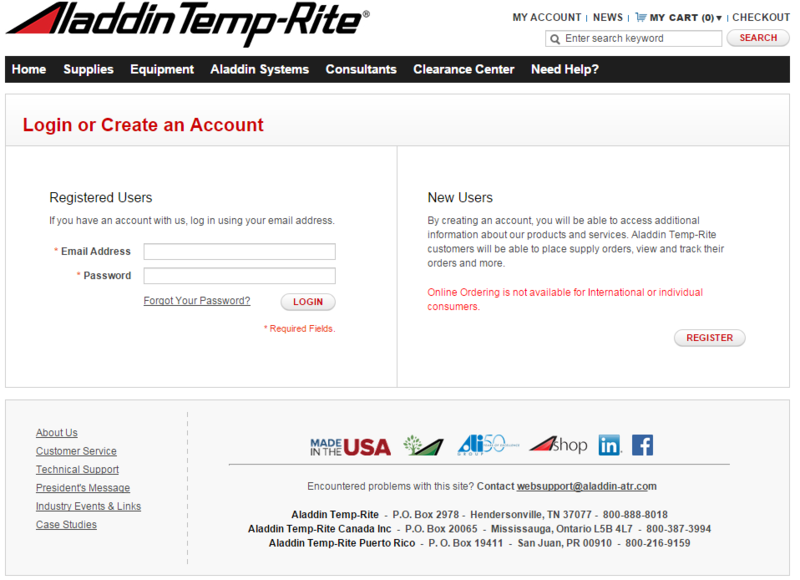 Although Aladdin Temp-Rite does not sell to the public, the company looked to eCommerce technology to drive efficiency and productivity in their extensive distributor channel. 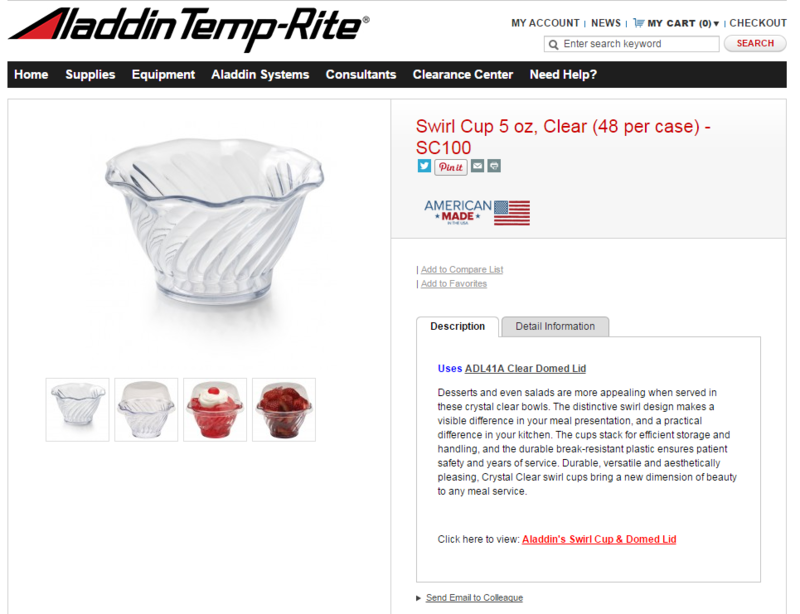 Service and quality are hallmarks of their business and the Aladdin team wanted an online purchasing experience that reflected this. 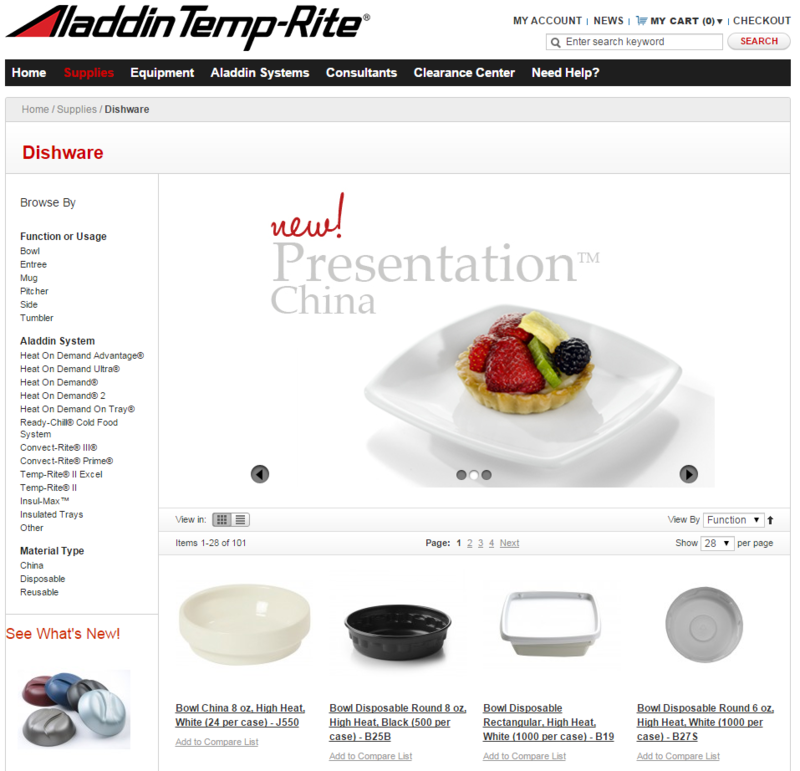 InteractOne was tasked with building a new Magento site that included a number of enhancements to order processing and ERP integration, as well as the Aladdin Temp-Rite branding. 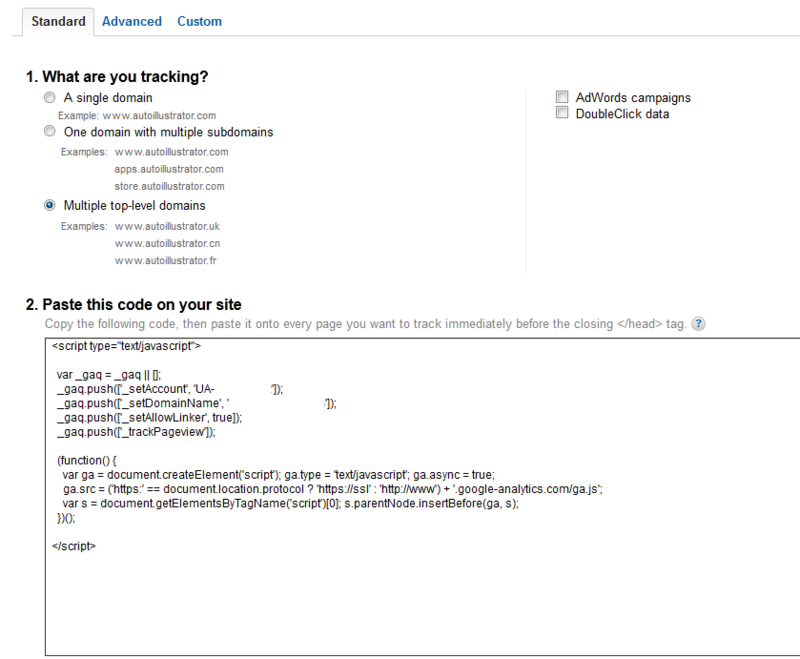 Like each Magento project undertaken by InteractOne, Aladdin’s re-platform began with an extensive Feature Exploration Process. This comprehensive effort ensures that priorities and requirements are fully outlined – avoiding surprises.